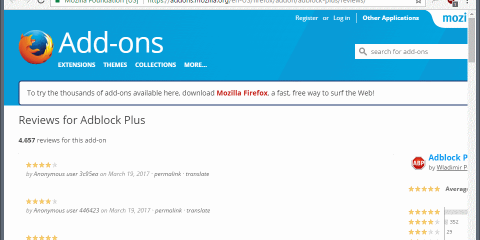 Firefox 52 will be the first release version of the Mozilla Firefox web browser that will ship without support for NPAPI plugins. The only exception to the rule is that Firefox 52 will support Adobe Flash. All other plugins, Silverlight, Java, and all the others, won’t be supported anymore in the Firefox version. While plugin use is on the decline, scenarios exist where plugins are still required to use sites or services on the Internet. Firefox is the last major browser for the desktop that ends support for plugins. Google ended support for NPAPI plugins in Chrome 45 for instance which it released on September 1, 2015. Mozilla announced the end of support for NPAPI in 2015 for the end of 2016, but postponed the deadline to Firefox 52. 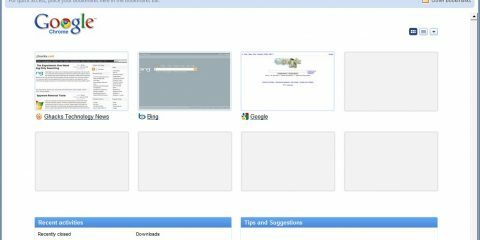 Firefox users who require these plugins may already have a plan in place to make sure that they can access sites and services that require plugins after the Firefox 52 release. Some Firefox users may be inclined to block updates of Firefox 51.x to avoid being upgraded to Firefox 52 or later. This is not really advised though, as it means that security updates won’t become available for that version of Firefox anymore. The risk of successful attacks increases because of this. Provided that you want to stay with Firefox, the best course of action at the time is to switch from Firefox Stable to Firefox ESR before the update to Firefox 52. Firefox 52.0 ESR will be released alongside Firefox 52.0. This is good news for anyone requiring plugins, as Firefox 52.0 ESR will continue to support plugins whereas Firefox 52.0 won’t. A full Extended Support Release cycle lasts seven full releases. This means that you will be able to use plugins in Firefox ESR until March 2018. Another option that you have is to install a Firefox ESR release next to Firefox Stable, and use it exclusively for sites and services that require plugins. 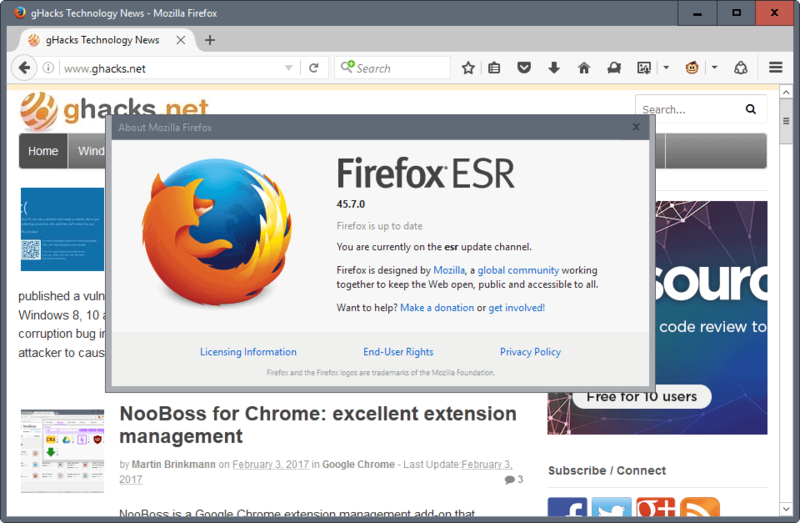 Mike Kaply published a guide recently that explains how to switch the update channel from Firefox Stable to Firefox ESR. First thing you do is update the file channel-prefs.js. You find the file in the Firefox installation directory on your system. The second file that you need to modify is update-settings.ini. It is located in the root folder of the Firefox installation, e.g. C:Program Files (x86)Mozilla Firefox. 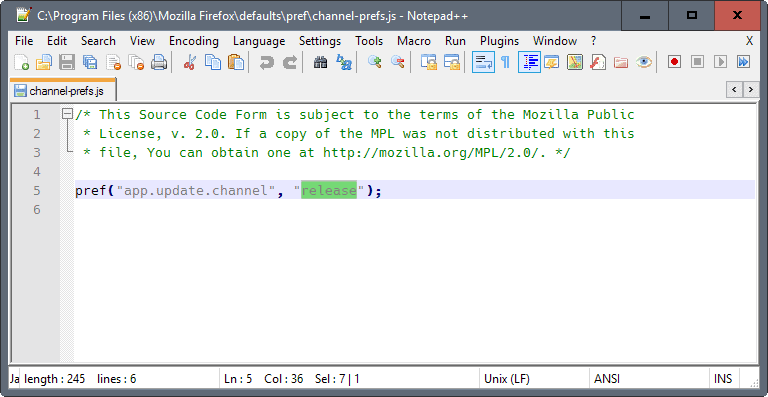 Mike notes that you should make the change as close to the release of Firefox 52 ESR as possible. The release is on March 7, 2017. Another option that you have is to install Firefox ESR directly on your system, and start using it. The new installation will pick up the profile that you used up until now. Please note though that Firefox 45.x ESR may not support certain features yet that Mozilla implemented in Firefox 46 to 51. Some add-ons or features may not be yet available because of the nature of ESR releases. Now You: Are you still using plugins? 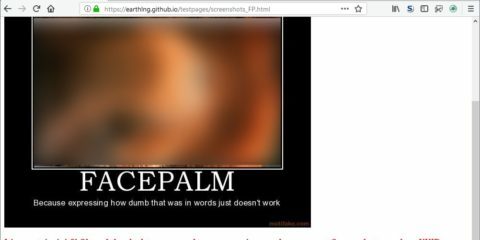 The post Firefox 52: how to keep on using plugins appeared first on gHacks Technology News.